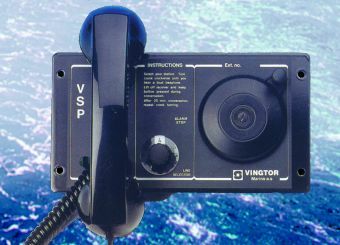 The VSP amplified batteryless Telephone System is designed for safe, loud and clear communication and as a replacement of the traditional Sound Powered Telephones aboard. 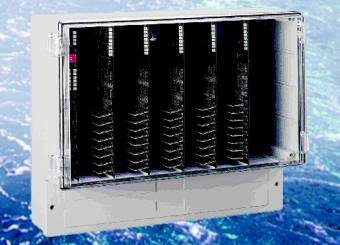 The telephone exchange of type microswitch digital has been designed especially for maritime application. By means of use of high-sophisticated microprocessor technology and supporting up to 40 extensions all current and planned requirements will be met. The SP3110 is also available as a basic portable VHF. It has all 54 international channels plus up to 26 private channels, quick selection of channel 16 and two user-programmable channels. 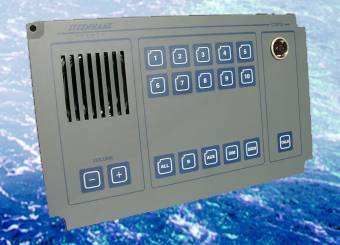 The Command Talk Back Systems ETB and CTB are specially designed for important communication for use in rough marine environment. The systems includes many facilities and can operate together with PA-systems to increase functionality and fields of operation.